A hilarious and heartfelt New York comedy from a crowned Queen of Teen Quite a bit has changed for Scarlett Martin over the last month. Mrs Amberson has moved down the street and opened the Amy Amberson Agency (AAA, frequently called by stranded motorists), and she’s taken on Scarlett as her official assistant. Marlene seems to have had a personality transplant (she’s being nice, for once), Spencer has accidentally become public enemy number one (his character murdered another very popular one on a hit show), and there is definitely something wrong with Lola. And as for Scarlett’s love life? Well … the less said about that the better. 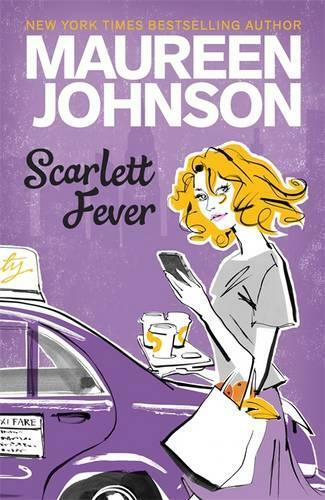 That would be enough for anyone to deal with, but unfortunately two new figures are about to enter Scarlett’s life: fifteen-year-old Broadway star Chelsea Biggs and her brother Max. Suddenly, drama appears to have spread over all of New York City. Gossip pages, boys standing in trashcans, an ill-fated cake, murder on the steps of a courthouse, flying doughnuts, topiary abuse, a dog named Murray who wees whenever he sees hats … and then an event that will change the Martin family forever. One thing is for sure: there’s never a dull moment at the Hopewell Hotel.